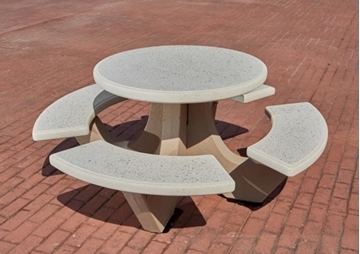 66" Round Concrete Picnic Table with Bolted Concrete Frame, 1100 Lbs. 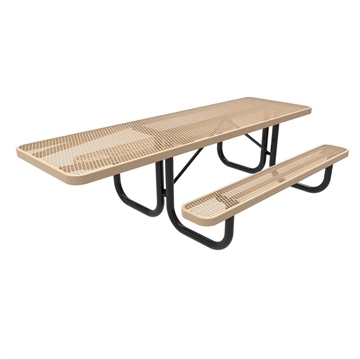 ADA Wheelchair Accessible Y-Base Picnic Table Expanded Metal Thermoplastic Steel, 8 foot Rectangular, Surface Mount / Portable, 285 lbs. 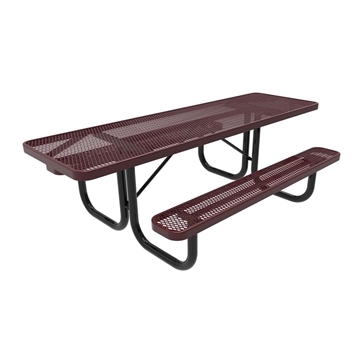 Hexagonal Recycled Plastic Picnic Table with Attached Benches, 258 Lbs. 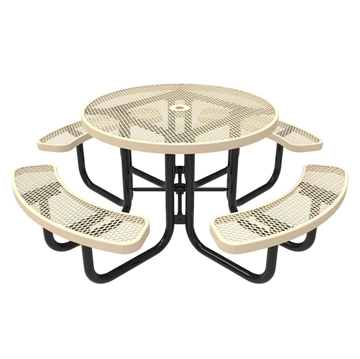 46" RHINO ADA Accessible Round Thermoplastic 3-Seat Picnic Table with Portable Frame, 229 lbs. 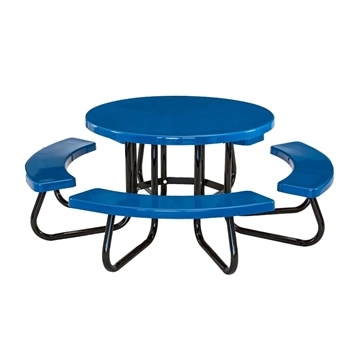 46" RHINO Round Thermoplastic Picnic Table with Portable Frame, 244 lbs. Municipal Picnic Tables includes picnic tables made from concrete, plastic coated steel, recycled plastic and wooden picnic tables. 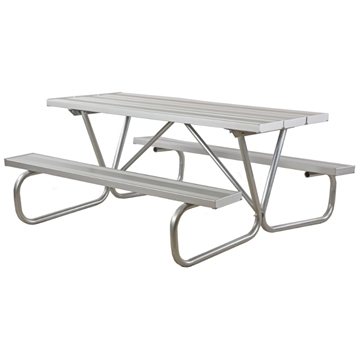 Picnic Furniture has assembled picnic tables used for parks and recreational areas. Included are traditional rectangular picnic tables with walk through attached benches that are available in various lengths up to 12 feet. ADA styles match all these tables to comply with the needs of the handicap public. Many of our parks and recreation areas use wood picnic tables, concrete picnic tables and plastic coated or plastisol picnic tables and the environmentally friendly recycled plastic.